Many of us have had the thrill of watching a baby walk for the first time. It is a time of massive change for the child from crawling to now walking. There is excitement, cheering from a crowd of onlookers, and that sparkle of accomplishment in the eyes of a child when they stumble through those first few small steps. Very little fear, there is mostly wonder and excitement of the new-found mobility. As we continue on our journey to build and strengthen our character, an important area for our effort needs to be in how we deal with that seemingly overwhelming task we now face. When fear and self-doubt creep in, what do we do? It would not be a gross overstatement to say there is never an immediate removal of self-doubt or worry from any difficult situation. However, it has been proven that starting small habits, baby steps if you will, are more powerful than any fear we have in dealing with change. Moving consistently, in some small way, toward our desired direction is an incredibly powerful tool to overcome. 1. If we have a struggling personal conflict that is building a wall between us and another person, start with a smile (or at least remove the frown) every day, little by little, and then bring forth the courage to break the silence. 2. If we are afraid of a career change to finally do something we are passionate about, start with quietly building a small plan, take baby steps to implement the plan, every day, little by little to build confidence that your dream can come true. 3. If we are afraid to take a stand on an important issue and speak up, start with writing a small “note to self,” and then speak up to someone you trust, little by little to then speak each and every time the opportunity arises. Our baby steps are powerful enough to overcome any fear. As we choose to take some baby steps in the right direction, we will build and strengthen our character and our Character Creates Opportunity to overcome our doubts and fears in order to reach our full potential. There is no doubt we are living in a time of increasing complexity and intensity. Whether it is tension on trade wars, struggles in our communities, or businesses trying to navigate global competitors that seem to pop-up overnight, life seems to be getting more challenging. With the growing complexity of challenges around us we tend to become overwhelmed and sometimes paralyzed with the sense that the challenges are insurmountable. Many times, we look to leaders in politics, education, business, and religion to support our ability to effectively deal with the challenges we face. There are the great examples we read about like Gandhi leading change in India without ever holding public office. Churchill galvanizing the British people during time of war. Ronald Reagan as the catalyst for driving change to end the cold war. On the business front, we read about Jeff Bezos of Amazon changing the world of commerce and Elon Musk spearheading great technical advances with Tesla’s electric cars and space exploration with the company Space X. However, the most important actions of people becoming a catalyst for change are those we don’t read about in the headlines. They are the actions of individuals in the home. The individual behaviors of parents, grandparents, and children within the home have always been the greatest catalyst for maintaining positive change over time. These are the behaviors that can scale and impact generations. As we continue on our journey to build and strengthen our character, it is important for us to maintain the perspective that we can start where we are today, with those closest to us, to effectively deal with the uncertainty we see around us. Driving major change around the world and around our community is about individuals being the catalyst and those individuals are first and foremost impacted by behaviors in the home. Behaviors that scale begin in the home. We all have our roles to play. Some of us are playing direct, major roles right now in dealing with the complexities we see all around us. However, for the vast majority of us, our best effort to impact these larger complexities can be brought down to clear and simple steps we can start with those closest to us in our homes. For all of us, it does not matter what kind of home we came from or what condition our family is in today. We cannot rewrite the past. What matters most is what we do going forward to model behaviors to scale for a brighter tomorrow. We will always remain a son or daughter, a brother or sister, a parent or grandparent, a spouse or ex-spouse. 1. Intent. The risks are too great if we just “wing it.” We need to be intentional about modeling effective behaviors like compassion, understanding and commitment. 2. Time. We need take advantage of those moments between commitments of work, school, and community to create a meaningful connection. In this day of personal electronics, we need to be careful that we all don’t allow our “chill time” with headphones on to overtake some time to connect. 3. Conversation. Just talking beyond one syllable grunts is a great start for many of us. Taking it to the next level would be to have a conversation that starts with us just listening to a voice that needs to be heard without judgment or pontificating about the need to change. 4. Hope. We will always have challenges. 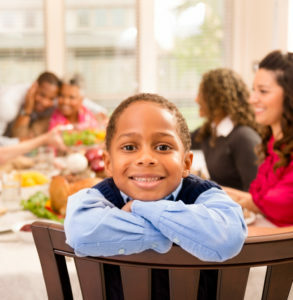 The behaviors in the home should be the source of encouragement and hope for a better tomorrow. As we guide our behaviors in the home by principles, like understanding, patience, and commitment, we will build and strengthen our character, and Character Creates Opportunity for us to create a positive impact in the home and scale those behaviors throughout our world. What do we achieve when we “have to” do something? When we “have to” do something, we come to realize that we have the capacity to do more than we ever imagined. In today’s world, we very rarely hear the phrases “I have to” or “I must do” something. We pride ourselves on self-expression and keeping our options open to avoid feeling boxed-in by obligations and commitments. Many times, our self-expression manifests itself in phrases like, “I just felt like doing something different” or “I just felt like it was time for a change” or “I am just not happy anymore.” These choices often come about when the going gets tough and the outcome we desired is not so certain. As we continue on our journey to build and strengthen our character, we need to be careful that our desire for self-expression and keeping our options open does not side-step commitments and responsibilities to enable a quick exit when times get tough. A detailed review of the great breakthroughs in scientific discoveries would reveal a sense of “I have to” find answers to these great questions. 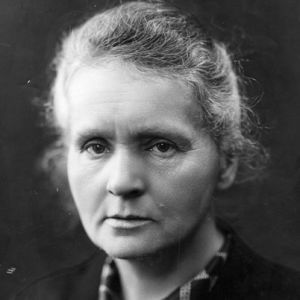 Marie Curie became the first and only woman to win the Nobel Prize twice and her work to isolate uranium opened the door to so many discoveries in the field of medicine. She spent most of her life in financial hardship, endured the tragic death of her husband early in their marriage, and conducted most of her greatest research in a leaky, rusted out shed. Friends and associates would recall her passion to find the answers to some of science’s most complex questions. With frostbitten toes and working in that shed on an empty stomach, she saw her work as having no other option, but finding the answers. When we have no other option and we “have to” do something, we are often amazed at what we can accomplish. It is important to routinely look in the mirror and see if there are areas in our lives where we have conveniently created options to avoid the commitment of saying, “I have to”? Is there a troubled relationship with a family member that could be repaired with a “have to” commitment? Is there a son or daughter who would benefit from seeing a parent with a “have to” attitude around the important things in life? When we find purpose in doing what we “have to” do, we build and strengthen our character, and Character Creates Opportunity for us to reach our full potential and be a positive impact on those around us. In today’s fast pace world, we seem to give great credit to those who can deliver quick powerful points of view on major issues at the dinner table, the workplace, and in the community. We are continuously fed well-articulated sound bites on complex issues via news-feeds and social media posts that continue to send us signals that we all need to prioritize stating our point of view at the expense of any other form of communication. With the current bombardment of noise and volume, we are at serious risk of losing the most important first step in building and maintaining healthy relationships, the ability to be an active listener to those we care about most. As we continue on our journey to build and strengthen our character, being disciplined and consistent with our effort to focus on listening will remain an important first step as we look to be our best for those we care about most at home, work, and in our community. Even without our sound-bite focused and loud world, we all seem to either be wired to or have been conditioned to share our point of view and experience, not necessarily to win an argument or debate, but also to potentially help someone’s personal growth and development. However, the reality is that without taking the important first step of listening to the other person, our effectiveness in sharing our experience and point of view will be severely limited. Instead of prioritizing our “brilliant” responses or sharing our “one-of-a-kind” experiences, we should work hard to let listening to the other person be the full focus of our efforts. Placing a priority on active listening as an important first step will be the gateway to healthy relationships with those we care about most. Listening is a simple and powerful way to demonstrate to someone that they matter and meets the basic universal need of all of us to be understood and accepted for who we are today. Listening comes before influence. Until those closest to us know that we care enough about them by our willingness to listen, they will rarely “hear” what we have to say. If we want to have influence, listening is an important first step. Listening first helps others feel safe to talk, helps validate their emotions, creates the gateway for a true conversation to begin, and for at least a moment, ends the “costume party” we all typically live in. Listening opens our hearts and minds to understand what lies beneath someone’s behavior. We only see the world as we are, not as it really is. Listening creates insight into the real world of others and helps to stifle quick judgments by the voices inside our head. Being an active listener takes a great deal of effort as we have a strong tendency to want to respond and talk about our own point of view. As we focus on listening as an important first step, we will build and strengthen our character, and Character Creates Opportunity to have a positive, enduring impact on those we care about most. 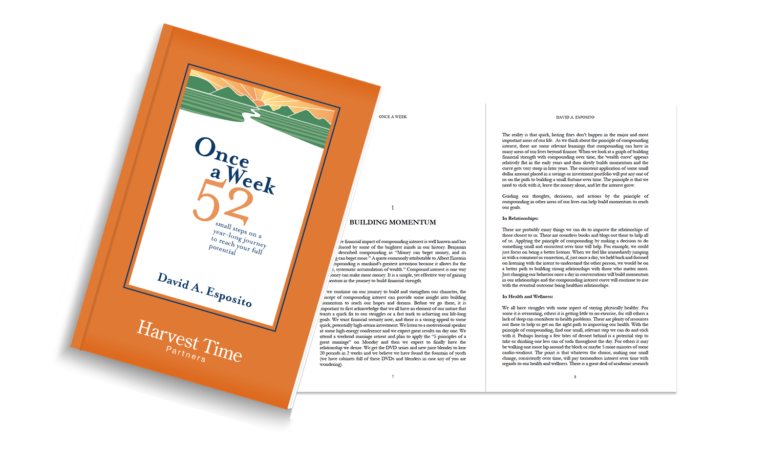 Once a Week is a collection of our most popular blog posts over the years. Through reading one short chapter each week and answering some thought-provoking questions, the book will help you reinforce what is important in your life and get re-energized to climb back into the ring for another week to reach your full potential in your most important roles in the home, the workplace, and the community. Would you like to receive updates on products and events? Copyright © 2019 Harvest Time Partners. All Rights Reserved.